Since there is no "Mexico" section, I decided to make this thread for all Mexico Road Construction news, pictures, etc. I found a lot of info on the future Libramiento Hermosillo. Pages 38-45 show the most information for the non Spanish speaker. I suppose you could translate it using Google Translate, but the maps honestly speak more than words. Most likely it will be a toll road because it is Mexico, meaning that if you want to avoid the toll you will have to drive through Hermosillo where the current 15 goes. The latest info I can find on it says it is 80% and it is expected to be complete by the end of this year. I had no idea that they were building a new bypass around Guadalajara. I found it on satellite imagery. I decided to map it out using Scribble Maps so everyone on the forum can see what it will look like on Google Maps. The exits I've drawn are at 15D (westside), 80 (southside), 15D (eastside), and 90 (eastside). I also feel like there will be exits at 70 (westside) and at MX 23 (southside), but they are not shown on satellite imagery (yet). Yeah, they are also gonna build exits at MX 70 (Carretera a Mascota) and MX 23 (Carretera a Chapala), though we are missing one since it says on the link that there is supposed to be seven exits, though I'm not sure where it's meant to be. An article I just read says that there will be exits at both MX 23 and MX 35. Probably a deal of half the exit will be at 23 while the other half we be at 35 since they are so going to be so close to one another. Looking on GSV it looks like there is plenty of room to make the road wider without building elevated express lanes. It appears that MX 150 is a free road through Puebla, so I imagine most through traffic will use the regular lanes rather than the express lanes. That's what happens in some of the big cities in the US as well. In Houston almost all of the cars (including myself) were using the Katy Freeway rather than the Katy Tollway (express lanes). I wonder if an Aguascalientes bypass is in the works. I think that's the only part of Mexico Federal Highway 45 that doesn't have a bypass. Chihuahua finish their bypass last year. The new bypass will go by east side of the city, towards San Luis Potosí. Not sure where exactly it will begin and end in the HWY 45, since all the route along it's populated with homes, commerces and industrial facilities, even huge portions of lands south of the city are occupied by two Nissan car plants and commerces. Hopefully it gets done soon, since I drive to this city too often and lose between 30-45 minutes crossing the city by several small avenues and stoplights. Mexican Highway 5 is now paved all the way south to a place called Coco's Corner. It is supposed to be paved to Highway 1 by the end of this year. In another thread Jbte mentioned that Highway 53 is going to be extended northwest to Ojinaga and it will be paved. I have no idea when that will be completed by and I don't think there has been any work on it yet. I also read another article about how there might be a new paved highway (probably labeled MEX 2) from Ojinaga to Juarez. Last but not least I guess Mexico is considering extending MEX 45D (Juarez toll road bypass) east to the new Tornillo crossing. Around 2008 Mexico built a new garita just south of a small town called El Setenta, so this new bypass will be in the free zone. Drivers will still have to get their permits at KM 30, which is a few miles north of the 45 / 45D Interchange. KM 30 was the old garita before the free zone was extended south to El Setenta. At Coahuila state all route is paved to Chihuahua border, you can get really close to Boquillas del Carmen by paved road, only like 20 miles of unpaved route to Boquillas, it's unknown if there are plans to pave the last branch to Boquillas. At Chihuahua side its unpaved (41 miles), from Manuel Benavides to Coahuila state border, that's due some legal changes must be done over the protected area, once its done it'll be replaced by Federal route 53 from Monterrey to Ojinaga. Google maps reference its wrong over this area and must be corrected. The only interesting place in this new route is "La Cuesta de Malena" its an scenic desert drive with a tunnel, nearby La Encantada open pit mine and Maderas del Carmen mountain range. Another route under construction near to this area its the Coahuila state route 20, from Ocampo to San Miguel (T junction to the new Federal route 53), you'll be able to drive from Torreón to (near) Boquillas in a paved route passing by Cuatro Cienegas, i'm eager to see this completed. The Garita (30 mile) near Juarez is closed, due government changes in free commerce with the US. It's very likely there will be a another bypass to the new Guadalupe-Tornillo trade bridge, from main highway 45. As for the extension of highway 2 to Ojinaga its actually under construction at El Porvenir (near Fort Hancock, Tx), they got only like 10 miles done of like 400, so still long time to complete at this rate like in 20 years from now, lol but no doubt this will be an awesome scenic road of the Río Bravo/Rio Grande. Today there are many roads under construction everywhere in the country, as like many over the Sierra Madre Occidental which i'm eager waiting for those to be completed, as for example a new road route from Creel, Chihuahua to Alamos, Sonora, crossing the huge mountains of the sierra madre, another one between Guachochi-Choix, Canelas-Tamazula in Durango state and Santa María del Oro, Nayarit to Bolaños, Jalisco, another awesome desert to forest scenic road, unfortunately all those areas are desolate and dangerous due drug plantations but an strategic plan to communicate better and bring security over those places. Whenever Highway 53 is complete all the way from Ojinaga to Sabinas I will definitely be making plans to drive that route in its entirety. The entire Big Bend Region (both US and Mexico sides) has some of the best desert scenery in probably all of North America and the area seems to be very safe. Also about the tunnel. I saw it on Youtube around 2 or 3 weeks ago. I checked the 45 degree sattelite view on Tijuana along MX-1D. Seems they replace asphalt with concrete and they attempt to do some reconfiguration to separate the local street traffic with MX-1D. http://mapper.acme.com/?ll=32.54109,-117.04191&z=20&t=S The last data then Streetview got for this road gap is from May 2009 when I check ClassyGmap. I wanted to add that west of Ojinaga there is now a sign for El Porvenir on MX 16 with a MX 2 shield on it. I didn't get a photo of it when I drove through there 2 months ago, but it is there. That's weird... the only paved route is by Chihuahua city then Juarez... it might be some gravel roads from that point to there. Funny thing I was playing with google maps looking the best route between El Provenir and Ojinaga, it suggest me to use US 90 and I-10, than in Mexico roads... There's a gravel route in between but Google maps doesn't recognise it somewhere between El Bosque, is that's the route in the signal you saw? It must be. The MX 2 was paved, but I have no idea how far north it was paved. I just remember the sign saying that El Porvenir was --> and the shield said MX 2. The sign was about 5 miles west of Ojinaga. I believe that there is a road that is mostly gravel that goes from Ojinaga to El Porvenir. The fastest route would have to be the I-10 / US 90 / US 67 route, but I think Mexican citizens not only have to have a passport, but also a B1 visa to visit the US. (Off topic, but I think Mexican citizens should be able to visit the US without a visa for at least 30 days.) In Mexico the gravel road (Future MX 2) has to be faster than going all the way to Cd. Chihuahua, but it might not be either. This is a fictional idea I have, but since we're talking about the area I'll put it out there. I think MX 10 should be extended east from its current end at MX 45 to MX 16 in Coyame. It would make it a lot easier to get from northern Coahuila to the northwestern part of Mexico. The way it's going to be, you'll have to decide if you want to go via Juarez or via Chihuahua once you get to Ojinaga. I also don't know if I mentioned this yet, but the Juarez libramiento is supposedly going to be extended east to the brand new Tornillo POE. I can also suggest them your new idea or ask anything about extending Mexico 10 to the east, which it's a great idea and I think it's going to happen soon. In recent years there have been lots of new road construction everywhere in the country, one of my favorites are at the sierra madre mountains. Here is the link to the official project's PDF (its in Spanish). A new western bypass in San Luis Potosi opened up 2 months ago. -Paso Express Cuernavaca (Express urban highway pass), an old highway was upgraded from 4 lanes to 10 lanes highway in Cuernavaca city. -Libramiento norpoeniente Morelia, Morelia city bypass northwest side. -Autopista Jala-Compostela, the section of Compostela to Las Varas is under construction, its expected to complete in December. -Libramiento sur Querétaro, Queretaro city bypass south side. To avoid going into the city and major traffic between Mexico City-Querétaro. -Elevated highway of Tlalpan in Mexico City. -Libramiento norte Villahermosa, Villahermosa city bypass complete. -Widening of MX40D from Atlacomulto to Tula, from 2 lanes toll highway to 4 lanes toll. -Macrolibramiento Guadalajara, Guadalajara city bypass, the southeast portion was completed, southwest is under construction. -Underground tunnel in Coatzacoalcos (under Coatzacoalcos river). 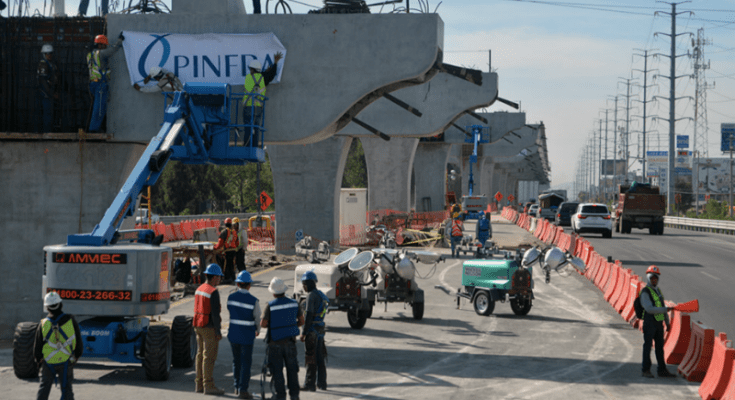 -Atlacomulco-Naucalpan, a new highway to connect Mexico city suburbs, will be the fastest route to Guadalajara. -Poza Rica-Xalapa, new highway in central Veracruz state. -Tuxpan-Tampico, new highway in north Veracruz state. -Mexico City south bypass from Jantetelco to Tequesquitengo. -Widening of MX200 from Manzanillo to Puerto Vallarta, from Ixtapa/Zihuatanejo to Acapulco and Acapulco to Puerto Escondido. -Widening and new pavement of Mexico City-Queretaro highway. -New bridge to Ciudad del Carmen. -MX2 extension from El Porvenir to Ojinaga in Chihuahua state. -Oaxaca-Puerto Escondido highway, due communal issues (NIMBYs), funding problems and corruption. -Oaxaca-Tehuantepec highway, half war done, but a rugged section is incomplete due communal issues (NIMBYs) and corruption. -Palenque-San Cristobal de las Casas highway, mainly due communal issues (NIMBYs), under Zapatistas rule. The Querétaro bypass is planned to open to traffic 'within a few days'. The Querétaro and Guadalajara bypasses seem to be one of the few 'libramientos' to be built with four lanes, many other new bypasses in recent years are super two toll roads. Having driven this road back in 2006 (en route from San Fco to Tequila and back), I'd be interested to know more. Can you link to a webpage with more information? Will this route go via Miramar, or is it a new-terrain routing? The current segment complete it's "Etapa 1" Stage 1 in the map, this is currently open to traffic, a new branch had to be built to communicate to Tepic., which actually you have to take it to exit to Vallarta. The next Stage, "Etapa 2" will be ready in December according to SCT, but we have our doubts about it and probably won't be ready until next year. It's a new segment almost done near Mecatán and Huaynamota, west end is located right next to the pacific ocean, here; https://goo.gl/maps/e7EgcTcZQVr, this continues from the new recently open Tepic bypass. Luckily many federal and state roads like that in Mexico are being updated and getting wider for security, I can hope by 2030 there will be no more roads like that in the country.